Two awesome recipes from Deerly beloved bakery- Guest post! At the begining of this year I started going to The Deerly beloved bakery’s vegan meet up for vegans and the vegan curious, it was here I met the lovely Kayleigh who owns and runs the Deerly beloved bakery in Norwich and runs the meet up, turns out she’s also got a lovely blog full of yummy recipes! Shes also been in the papers a few times because of her yummy bakes! We both decided to do a guest post on each others blogs, she gave me a couple of recipes to share and told me to pick one but I just couldn’t choose between these two, im sure you guys will enjoy her recipes as much as I do! This is such a great dish. It takes a bit of time, is a bit more fiddly than just opening up a packet, but holey moley, once made, you can say you have made pasta! 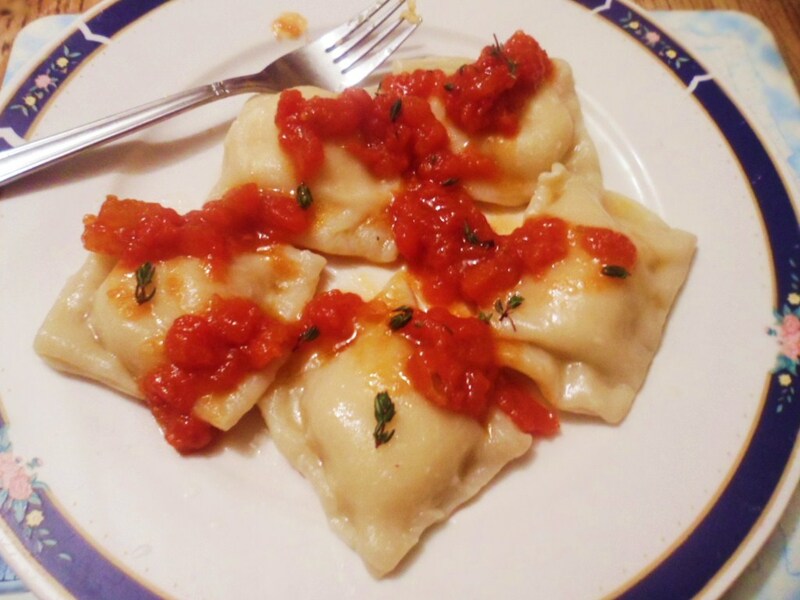 No ravioli, from scratch! And that’s pretty darn cool! A pasta machine is useful but I will be explaining how to make the ravioli with out one! In a bowl add the water, oil and salt together and give it a little whisk! Slowly incorporate the flour and bring together into a dough that is moist enough to ‘clean the sides’ so no scraps of flour are left. If you find the mix is too dry add a little more water, if to wet add a little more flour. (All flour batches are different according to the age of the flour, the weather and the brand! So a little more flour or water may be needed!) Cover with a cloth and pop in the fridge. In a roasting dish pop in the pepper quarters and garlic. Keep the garlic whole and in it’s skin as it will protect it from burning and allow it to steam sweetly in it’s little protective jacket! Then drizzle over the oil and the pinch of salt. And pop in a hot oven a 190c for 30mins until soft and burnished. Take out of the oven and scoop out the pepper flesh into a bowl. With a fork apply pressure to one end of the roasted garlic and the garlic will pop out all steamed, sweet and delicious! Add to the peppers. Pluck the leaves from the sprig of thyme and add to the bowl of peppers too. With a fork gently mash it all together, we don’t want a puree here, just small enough so that the pieces will fit happily into the ravioli. Now the next part can be made easily with a pasta machine, however if you don’t have one, flour your side board lightly with flour and roll out the dough thinly, but don’t make it see through or holey! Using a small glass or ramekin cut out circles of dough for your ravioli. Take a circle pop in a tsp or so of the pepper mixture, then wet the out side of the circle with the ramekin of water using the pastry brush. Lay another circle directly on top. Now gently push down sealing around the mixture a bit at a time as to push any air out of the ravioli. If there is air trapped in the ravioli it may make it split when it cooks, and we don’t want to lose our lovely filling in the cooking water! I then trim the edges of the ravioli as sometimes the pasta can get a little thick round the edges! Once all the ravioli are made, pop them in the fridge to firm up. While this is happening make your tomato sauce! In a frying pan add the tomatoes, oil, sugar, balsamic and pinch of salt. Then let this reduce by half and intensify in flavour. Bring a pan of salted water to the boil and pop the ravioli in a few at a time, do not over crowd the pan. The great thing about these ravioli is that when you pop them into the water they sink to the bottom, when they are cooked they will float to the top! When this happens catch them with a slotted spoon, shake gently to remove any water and pop on a plate. Spoon over your tomato sauce and serve immediately! You can make the ravioli in advance, they will happily keep in the fridge a day or two in an air tight container. 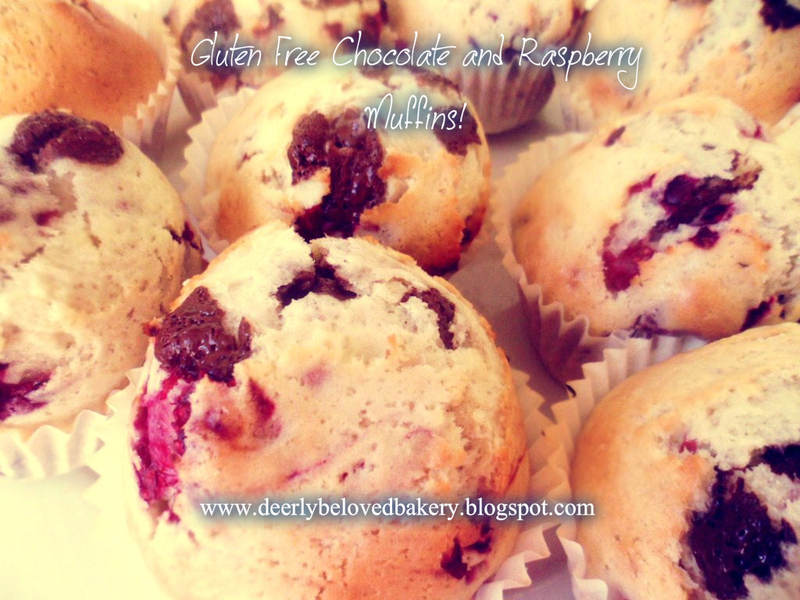 Gluten Free Chocolate and Raspberry Muffins! This recipe is so easy and makes light fluffy muffins every time! You can mix it up and do blueberry, blackberry, orange, lemon, any thing you like really! These are great for an afternoon treat or served with ice cream for a decadent dessert! 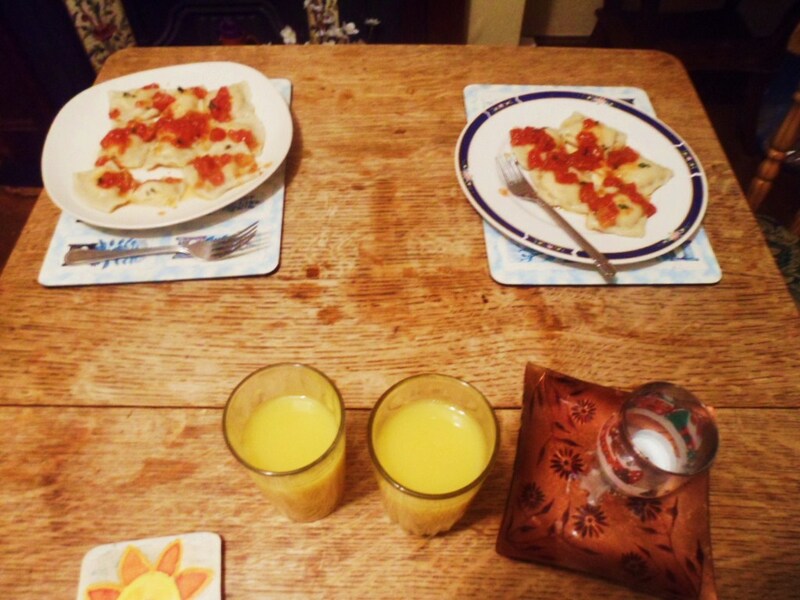 This entry was posted in guest posts, mains, sweet treats and tagged bakery, food, norwich, recipes, uk, vegan. Bookmark the permalink. Delicious sounding recipes that I am anxious to try! 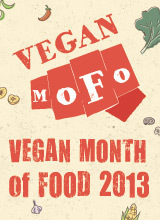 A great & tasty guest post! I love the 2 tasty recipes too! 🙂 She has a great blog herself! I am a fan too now!